Toby Sells, writing for the Memphis Flyer, published an article yesterday about The Urban Child Institute (TUCI), a 20-year-old health conversion foundation that was established to improve the lives of children through researching and funding interventions to be implemented before they reach the age of four. With a staff of eleven and $148 million in the bank, and in a city where such interventions are desperately needed, TUCI has created a quiet buzz around itself about why more of that money is not being spent on grants and why so much is spent on the executive’s salary—that executive being the founder, Gene Cashman. In 2011, Cashman’s compensation package was worth $444,342 and was 6.4 percent of TUCI’s total expenses. It spiked to $778,519, or 12.5 percent of TUCI’s total expenses, in 2012 and then inched down mildly in 2013 to $633,529—nearly 10 percent of TUCI’s total expenses. 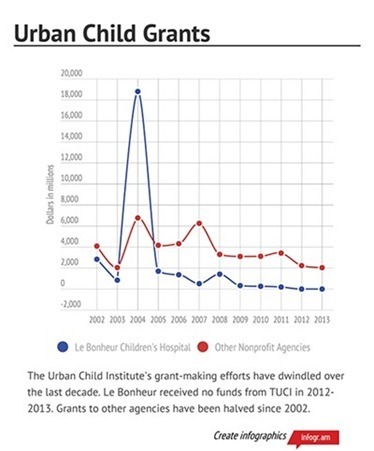 We wish we could provide a little hope that Wall is an outlier on the board, but this article also quotes longtime board member Cyril Chang, an economics professor at the University of Memphis and director of Methodist Le Bonheur Center for Healthcare Economics at the U of M. When asked what he thought about the ways TUCI spends its money, Chang demurred, saying that he serves on the investment committee of the board, which does not direct spending. Sells does a quick comparison of Cashman’s salary to others in the vicinity, looking at the scale of operations. In 2012, Baptist [Memorial Health Care Corporation] paid its former CEO, Stephen Reynolds, over $3 million for overseeing a system that employed more than 8,500. In 2012, Methodist [Le Bonheur] paid its CEO, Gary Shorb, more than $2 million to manage a system that employed more than 10,500. In 2013, Christ Community [Health Service] paid its then-CEO Richard Donlon $189,477 to direct more than 400 employees. In 2013, TUCI paid Cashman more than $630,000 to oversee 11 employees. Using this comparison, Reynolds got $353 per employee, Shorb got $190, and Donlon got $473. In one year, Cashman got $57,545 per employee at TUCI, including himself. In 2013, the list included Wall, TUCI’s chairman, who also works at UTHSC, which gets money from TUCI, Chang, and Armour. The list also included Stanley Hyland, a researcher at U of M, which receives funds from TUCI. James Witherington, of the Neighborhood Christian Center, is on the TUCI board, and TUCI gave his group more than $630,000 in 2013. Frederick Palmer, a UTHSC doctor, served on the TUCI board in 2013. Chang says the board is a mixture of “community folks and so forth,” and defends the role of U of M and UTHSC—two of the biggest organizations that TUCI funds—noting that their members are present but that they don’t dominate the TUCI board. But all good things must come to an end. Sells writes that “the huge and growing investment fund, the dwindling grant funds allocated, and Cashman’s big payout” have been under getting under local people’s skins and that may mean the pitchforks are being dusted off in frustration. But where is the initiative for such a challenge to come from? 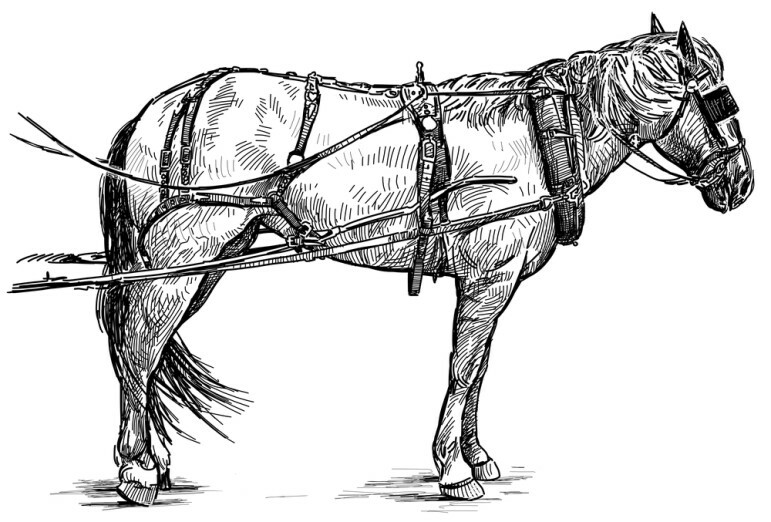 Given the proposed board composition, the continuing institutional dominance of big hospital interests, and the lack of external oversight, it is unlikely that this large new philanthropic vehicle in Appalachia will result in a new paradigm for philanthropy and rural investment.